Planning a nationwide tour is not an easy task. Imagine deadlines, time frames, scheduled to the minute – from city to city….only to be sitting on the side of the road with a broken-down tour bus mere hours before your next gig. Arriving in town just in time to get the opening artists on stage – is never part of the plan. 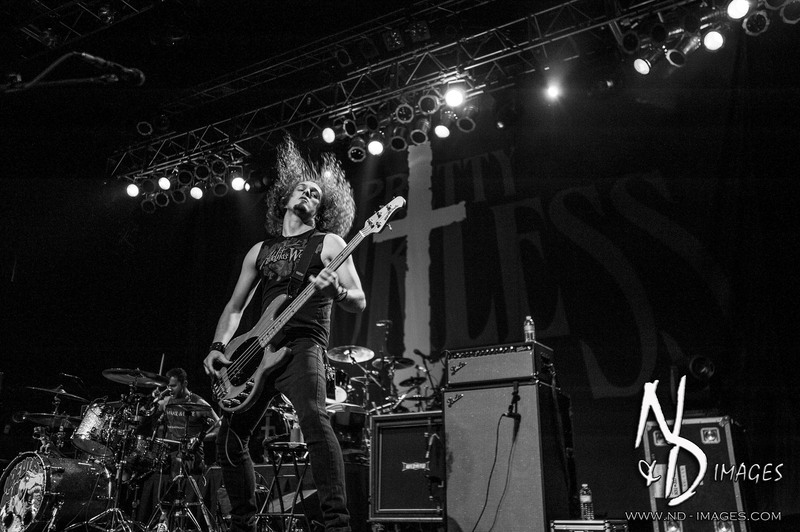 The Pretty Reckless and their tour took it all in stride arriving in Boston on September 10th around 7:00pm carrying on their Going to Hell Tour and taking the stage along with Adelitas Way and Crash Midnight at the House of Blues. Opening the stage each night on the first leg of this much anticipated US tour, Crash Midnight delivered what they are known for – old school guitar riffs, intense drums and scorching vocals. Covering Guns ‘N Roses classic Mr. Brownstone, these hometown boys opened the night, showing their love for the local Boston crowd, rocking it out ’til the last note. 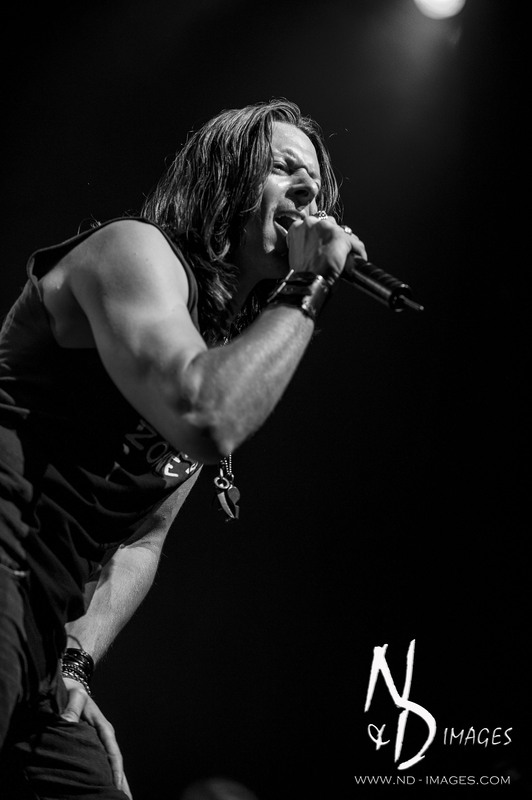 this tour – to capture a whole new fan base and put on a great rock and roll show. Well, I’m here to say, they delivered! Watch for this core rock and roll band as they make their way across the US! Headlining the night – Taylor Momsen and The Pretty Reckless. Kicking of their set with Follow Me Down, a single off their latest release Going to Hell, The Pretty Reckless never seem to disappoint, making my job as concert photographer an easy task! The most difficult part of my night? Simple…trying to remember I was there to capture each moment in time, versus rocking out to their every note! Having countless TPR shows under my belt, I knew the fun in store for the crowd that night. their debut album Light Me Up, The Pretty Reckless is a force NOT to reckon with! Sighting influences like the Beatles, Oasis, Nirvana and Joan Jett, The Pretty Reckless focus their unique rock sound with classic style. 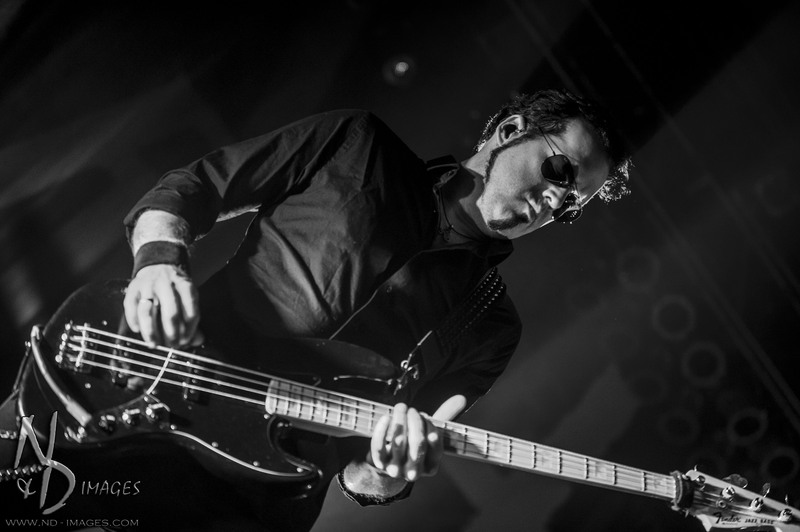 Playing with rock giants like Evanescence and Guns ‘N Roses, they’ve found immense success here in the US and even more internationally. 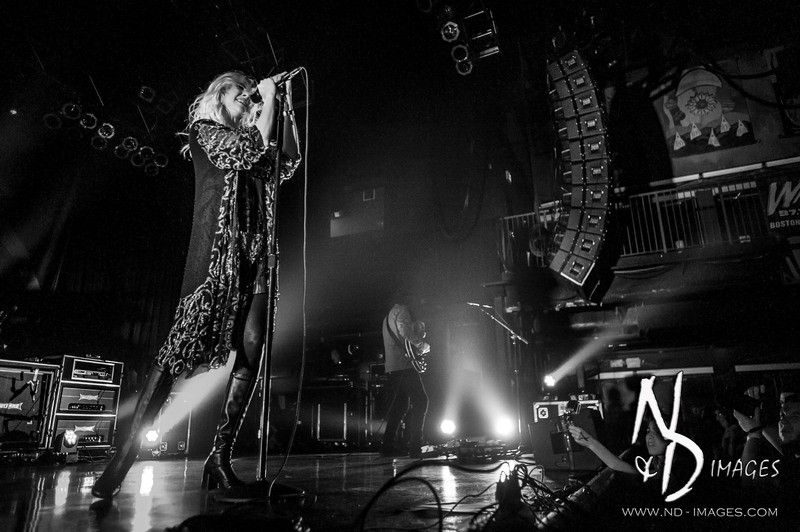 During their stop at the House of Blues, The Pretty Reckless treated the crowds to favorites like their latest hit, Heaven Knows and Make Me Wanna Die, and also launching into a mellow and haunting rendition of Zombie. Taylor and the boys belted out Pearl Jam’s Daughter – to the audience’s delight! Wrapping up an incredible night with an encore of Going to Hell and Fucked Up World, it’s easy to see why The Pretty Reckless is the first female-fronted rock band to achieve No. 1 on rock radio charts with their first two singles, in March of this year with Heaven Knows and in September with Messed up World. I was grateful and honored to once again be able to review and photograph one of my favorite bands here in New England. I wish my friends, The Pretty Reckless, a safe and successful US tour! 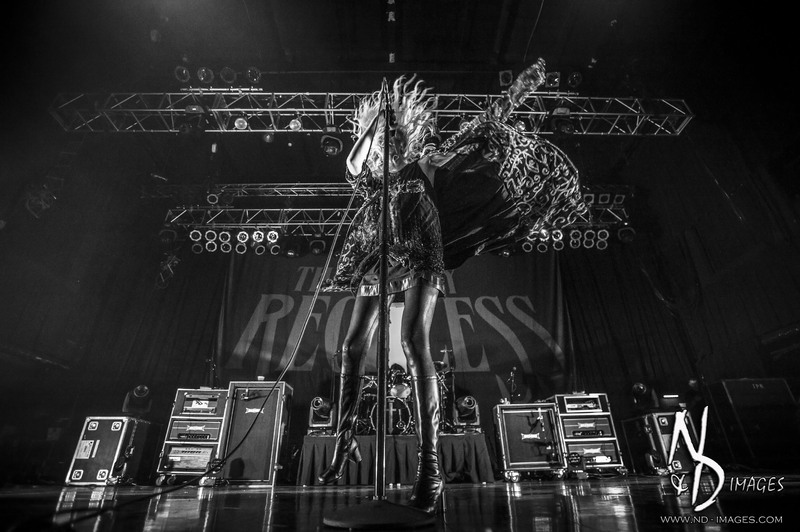 Don’t miss your chance to see The Pretty Reckless and their Going to Hell Tour – it’s a night you won’t soon forget!